House Budget Chair gets some scholarly encouragement to consider the past before blaming today's poor for their circumstance. 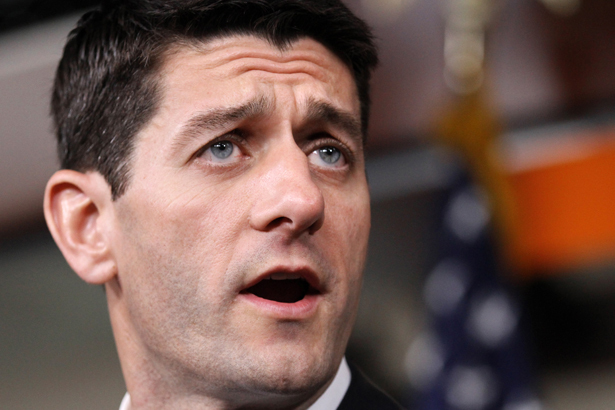 Paul Ryan has spent the past several weeks apologizing. First, he delivered a speech at the Conservative Political Action Conference where he decried school lunch programs, arguing that organizing programs to feed hungry children could produce “a full stomach and an empty soul.” Unfortunately, Ryan illustrated his argument with a story that turned out to be unsettlingly inaccurate—in both specific details and broad premises. And Paul Ryan might want to make one more apology. For disregarding his own history. Egan reminds us that historians of the Irish experience have for some time now been been picking up on the fact that Ryan seems to have forgotten where he came from—and what his immigrant ancestors went through. Like Ryan, I am descended from Irish immigrants who settled in Wisconsin. But mine was a different experience. I learned from an early age about Britain’s colonial repression of the Irish, and about the mistreatment of immigrants to the United States who were greeted with “Irish Need Not Apply” signs. My Irish history inspired enthusiasm for anti-colonial, anti-apartheid and pro–civil rights movements—along with sympathy for immigrant rights. This is not uncommon. My friend Tom Hayden, whose Irish ancestors settled in Wisconsin, wrote the grand book Irish on the Inside: The Search for the Soul of Irish America (Verso), which explained why Irish-Americans should identify with the liberation struggles of immigrants, people of color and other victims of class and race discrimination. It is disappointing that in losing sight of his past, Paul Ryan has denied himself the opportunity for an awakening that might offer him with broader and better understanding of the issues that he admits he has been “inarticulate” in discussing. It was certainly true in the nineteenth century that the last thing the impoverished people of Ireland needed was a British Tory politician blaming them for their hard times—or telling them that organizing programs to feed hungry children might do damage to the soul. And it is certainly true in the twenty-first century that the last thing the impoverished people of the United States need is an American Tory politician blaming them for their hard times—or telling them that organizing programs to feed hungry children might do damage to the soul.